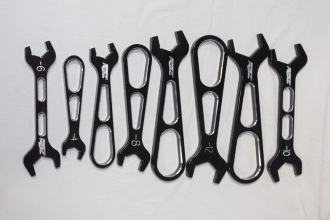 Set of AN wrenches ranging from -4 to -16. Featuring a dual sided -6 -8 . As well as a -10 -12. These are hard anodized for tough tool box durability.